Throughout February the Tayrona Park was closed, keeping the expectation of many of us that we wished with the new opening, fortunately this park reopened its doors on March 1ft, but many people do not know why they do it, well, this is for general maintenance, so it is in a measure that it takes each year to keep this paradise nice and fit for many more years. This paradise on earth is located 34 km from the city of Santa Marta on the Colombian Caribbean coast. This wonderful place at the foot of the Sierra Nevada is within reach of anyone’s pocket and is ready to attract travelers from all over the planet. 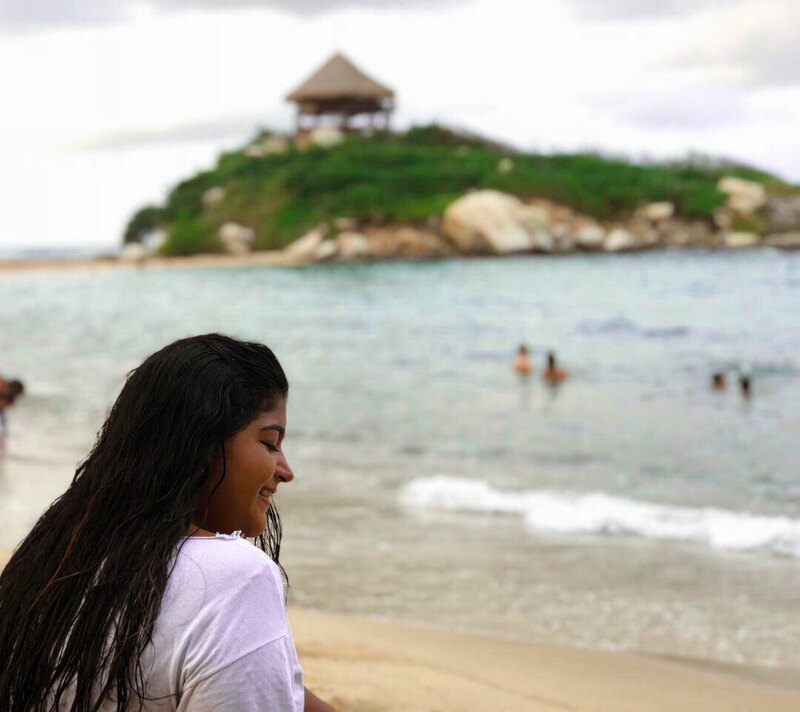 Tayrona Park is the highest coastal mountain in the world, which forms reliefs that sink into the sea as if it were a giant hands that go out from the sand and make the famous Sierra Nevada. These spectacular alleys bays and beaches of great beauty, among which is: Chengue, Gayraca, Cinto, Neguanje, Concha, Guachaquita. 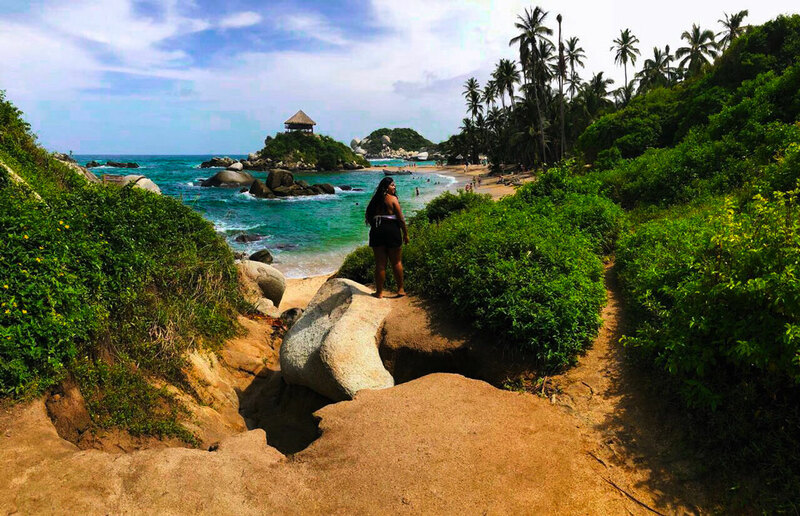 The Tayrona National Natural Park is made up of 15,000 hectares, of which at least 3,000 are of marine area, in which there is a large number of species and marine fauna, the story is the flora and fauna that inhabit the land. These sandy beaches are also surrounded by mangroves and forests, adorned by crystalline waters of the Colombian Caribbean Sea, which offer a unique beauty in the eyes of any spectator. • Pueblito Chayrama: within the sector known as Cañaveral, offers a visit to a museum that has a permanent archaeological exhibition and visit to the archeological ruins of the Tayronas, which is more than 500 years old. • Cristal Beach: which before 2010 was known as “Playa del Muerto”. 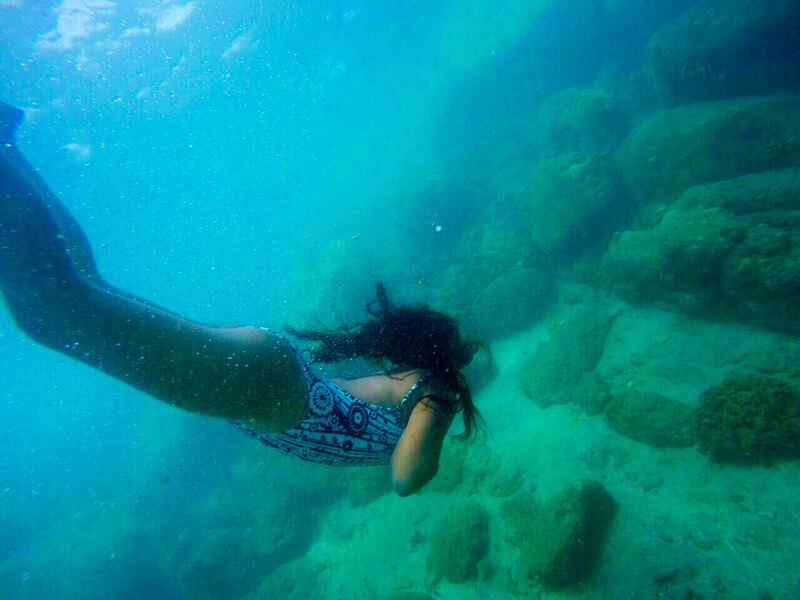 • Visit Arrecife Sector: this is the area with the highest number of visitors that has adapted to this activity, offering lodging, bathing and restaurant services, although the beach is suitable for swimming by the force of the waves. • Visit Piscina Sector: is a beach attached to the Arrecifes sector, ideal for swimming and having a good time. I highly recommend you snorkel in this place and swim to the reefs and enjoy the different amounts of fish that live here. • Cabo San Juan de Guía: this beach is my favorite, in fact to my taste the best sector, although the most secluded one, it is worth doing the walk of almost 2 hours from the entrance to stay here, since it also offers services of accommodation, bathrooms and restaurants. You can also walk from there to Pueblito Chayrama, or just spend the day on its beaches. • Nudist beach: this is an interesting place within the reserve, although it is not officially a nudist beach but the custom and agreement is not the same as its visitors has maintained it as a nudist beach. • Lost City: this is one of the best trails to do in South America, although it is not within the reserve of the Park, it is a reserve of the Sierra Nevada, a must if you visit Colombia. 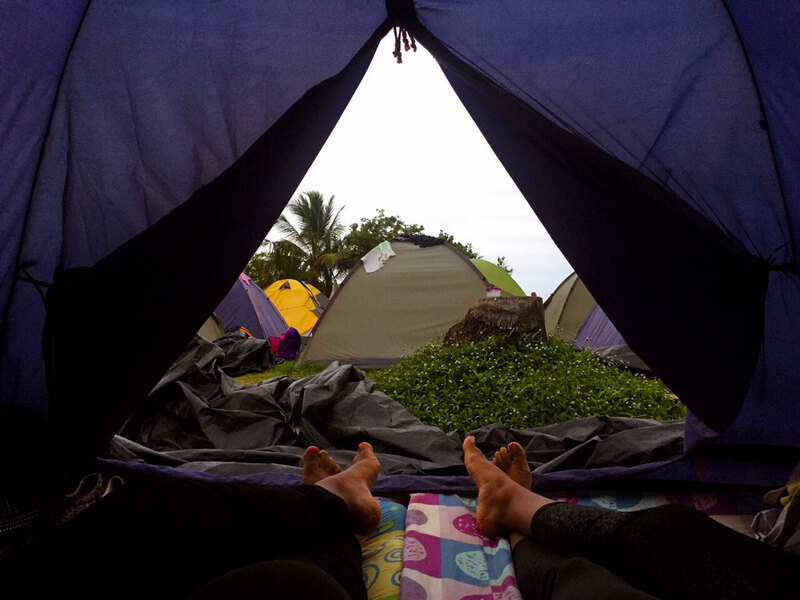 If your plan is to enjoy a few days at Tayrona Park, we also offer lodging, from which you can offer from the cheapest price in camping stores to the most sophisticated and ecological Eco Hotels, everything depends on your pocket and the plan you have thought-out. 1. You can connect with nature while you relax and disconnect from the worries of daily routine. 2. Discover ecological trails through giant stones and terraces surrounded by exuberant flora and fauna unique to the place. 3. You can enjoy exciting activities such as hiking, horseback riding, swimming, diving and diving. 4. 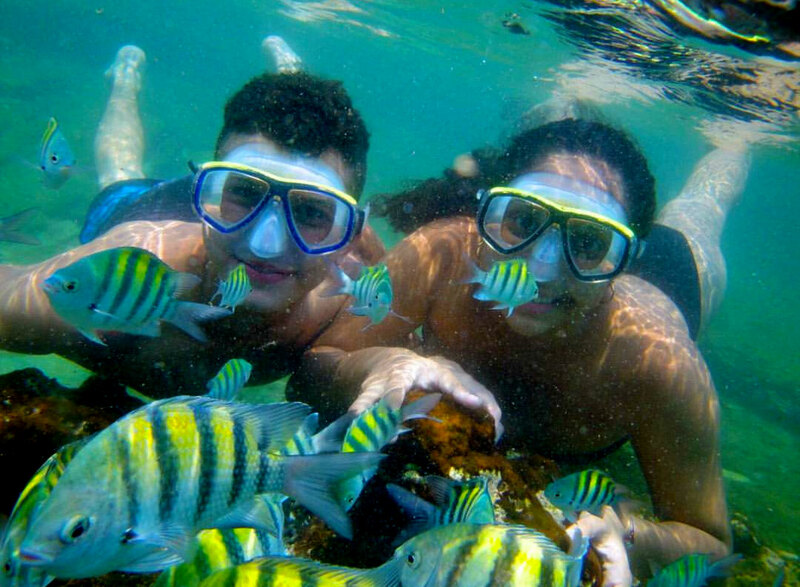 Snorkel to admire miles of corals and fish in crystal clear waters at Playa Cristal or Bahía Concha. 5. 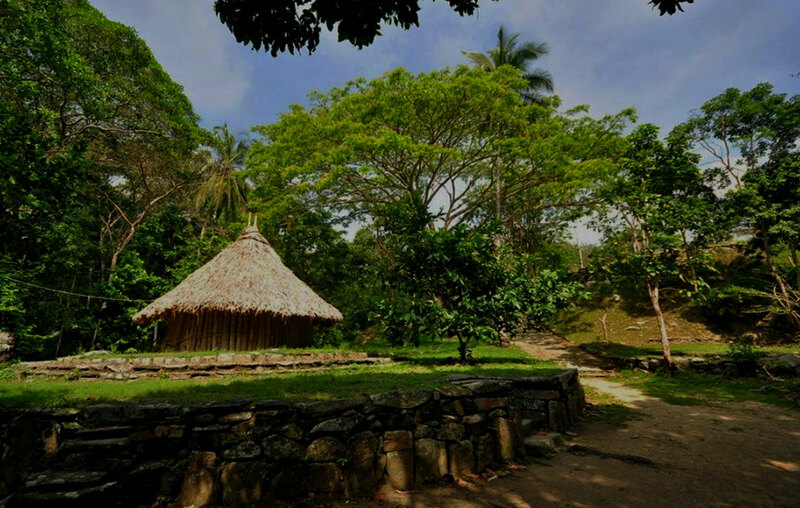 Know one of the most representative sites of the pre-Columbian Tayrona culture such as El pueblito Chayrama. 6. See the sunset immerse yourself in the crystal blue waters of Cabo San Juan and then spend the night in a spectacular area of ​​camping facing the sea, surrounded by palm trees. 7. Enjoy a moment of complete freedom, without problems and without inhibitions feeling the sun. 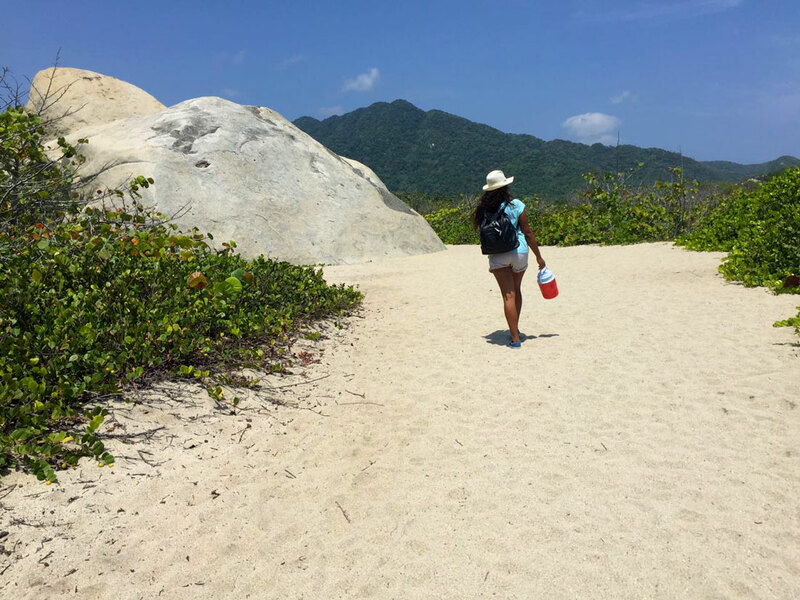 What to take to Tayrona Park? • Fresh clothes, swimsuit, fresh clothes but long sleeves if you decide to stay at night because it refreshes a little and to protect the skin from insects. • Durable and comfortable footwear for hiking, it is important that they are resistant to water or mud since in rainy season certain areas can be muddy. • Hat or cap and sunglasses and raincoat in the rainy season. • In the Caribbean the presence of snakes is not so common, however, they exist, so it is recommended to know if you are allergic to something in case of a bite, as well as take your medicine in case of taking or a kit with polyvalent antivenom serum, which must be applied by a doctor according to recommendations made by the National Serpentarium of Colombia. How do I get to Tayrona Park? 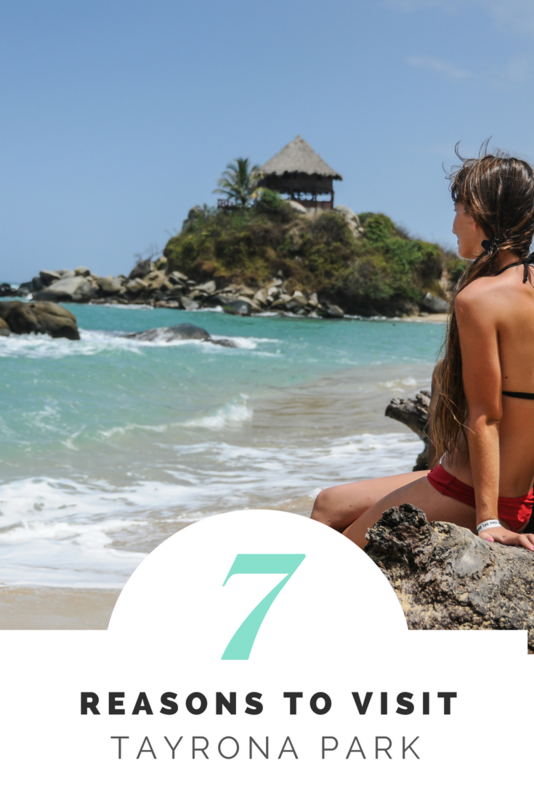 • From the center of Santa Marta you can take the bus that takes you to Tayrona Park on 12th Street, try to arrive early to be the first to enter the park, since during high season if the quota is filled you stay out. • Once at the entrance to the park, get ready to walk approximately between 1:30 and 2 hours until you reach the main beach that is Cabo San Juan. • Another way to get there is by boat from Taganga, they usually leave 10am every day, but the price can be a little high and the waves are very high, so it could be an intense experience. • Another way to get there is hiring the 1 day tour, the guide will include the guide, entrance and round transportation from your hotel, an easy and convenient way to visit the Tayrona Park if you do not have much time. Magic Tour also offer diferent kind of tours to Tayrona Park, depending on what you’ld like. • The entrance and exit times of the park are from 8:00 am to 5:00 pm. • Make your reservations in advance or hire a tour in advance as the daily load capacity of the Park is 6,900 tourists. • It is recommended to be vaccinated against yellow fever. • You must take an environmental education talk which is mandatory. • It is common to find beaches that are not suitable for swimming, so for safety reasons, you should inform yourself of suitable places to swim and bathe. 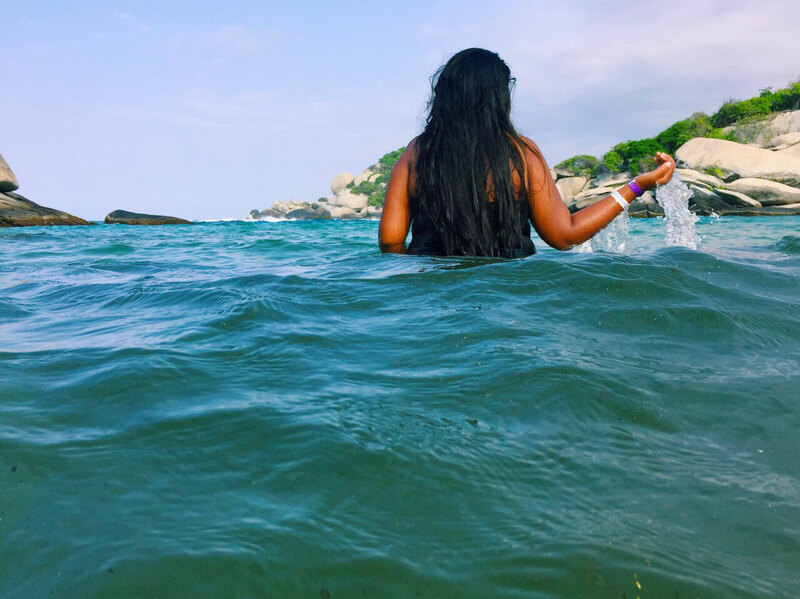 • Bathing in the sea is allowed until 6 p.m.
• Within the Park there are sacred sites of the four indigenous peoples of the Sierra Nevada de Santa Marta, which are demarcated and entry to these areas is prohibited. • If you are hiring a guide or tour, make sure you are certified for such activity. Magic Tour offers guides and tours certified and approved by Tayrona Park. • When taking a boat, make sure it has a life buoy. • The entrance of plastic bags and icopor objects (unicel) is prohibited. • The entry of musical elements is prohibited, as this disturbs the peace and natural environment of the Reserve. • Pet entry is restricted. • The entry of alcoholic beverages and psychoactive substances is prohibited. • The entry and carrying of weapons is prohibited. • The entry of surfboards is prohibited. • It is forbidden: make bonfires, throw cigarette butts, burn garbage, carry out logging and capture wild animals. • Remember that when leaving the protected area you must remove the garbage that you produced during your stay (that includes shells, seeds or other residual products of vegetable or animal origin); Help us keep this clean reserve so that your children, and your children’s children can enjoy it. • If you are going to take your car, remember that the parking of vehicles in camping areas is prohibited. When authorized parking spaces are covered, cars will not be allowed to enter, only visitors. For more information or purchase of online tickets you can visit the Tayrona Park page (just spanish version), where you will find more detailed information about the park, closing dates, recommendations among other relevant information. Help us share it or visit me for more articles about Colombia and Latinoamerica. Next postLost City Colombia: 20 Stunning Pictures to Inspire Your Visit.